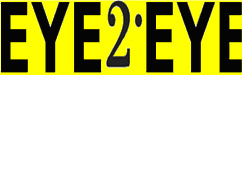 Eye2Eye is a social club for visually impaired people. We meet every Wednesday at St Andrews Church Hall, Garden City. 10 am - 2.30 pm. Eye 2 Eye was formerly known as Deeside Club for the Blind. The club was originally set up and run by Flintshire Social Services in the mid 1960's. The meetings were held on Tuesday afternoons in the council offices above Buckley baths. In the early 1970's the club moved to Connah’s Quay one of the reasons for the move being that there were more members from that area, Shotton, Mancot, Saltney etc and it was easier for members to travel to Connah's Quay than to Buckley. The membership steadily grew and in 1976 the club moved to the newly built Melrose Family Centre. After some years at the centre, Social Services gradually left the running of the club to volunteers, just visiting for short time or to bring along a new member. The membership had grown to over 50 by 1990. Social Services gave up the club completely in 1998 leaving it in the capable hands of the volunteers. Following the decision to turn The Melrose Family Centre into a day care centre in 2002, The Deeside Club for the Blind found a new home at St Andrews Church Hall in Garden City. Since the move it has changed its name to Eye 2 Eye and is now a charity in it own right. Eye 2 Eye is a social club for the visually impaired we meet weekly with members from many parts of Flintshire attending. We are completely self funding and the club is run entirely by volunteers none of whom claim any expenses so all money raised goes directly for the benefit of the members. We arrange for subsidised transport for members door to door to and from the club.